So, the point of discussion this week is on burning professional bridges-- when is it time to do that? Now, for me, this is a mostly theoretical question. I'm rather pleased with my agent and editor, thank you very much. And why wouldn't I be? My editor won the Hugo for Best Editor for the very year my novels debuted. 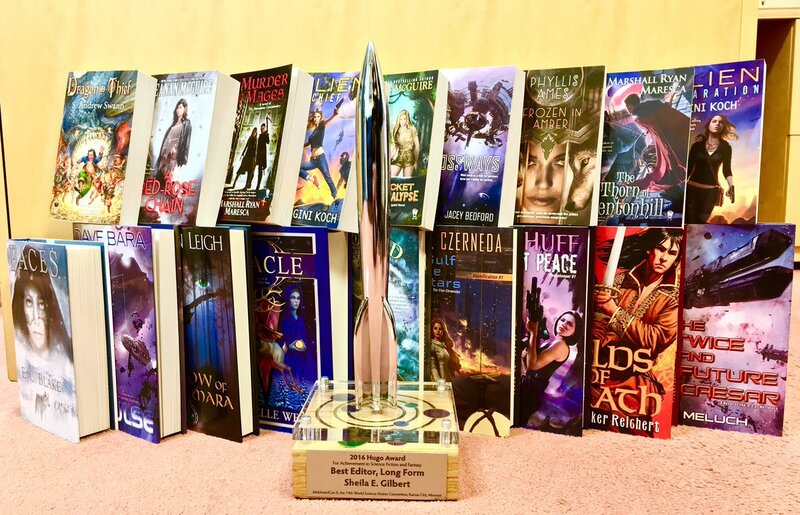 My novels are connected with a Hugo win. See? I have proof. OK, mostly I want to show off that photo. But, for real. I'm happy. But there can be good reason to break off a professional relationship with your agent or editor. Especially if you are suffering from Small Press Stockholm Syndrome. If [EDITOR] hadn’t noticed us lurking about and convinced us to submit a short story to [ANTHOLOGY], we don’t become professional authors at all. [EDITOR] took us from nothing–nothing— and made us what we are. The above quote comes from a defense of a small press publisher who wasn't paying royalties or meeting obligations. But it's OK, because that publisher loves us and made us! It's like staying in a bad marriage because they were the first person who showed interest in you. Look at what your publisher is actually doing for you, and ask yourself-- without getting lost in the sunk costs and the misplaced gratitude: are they really helping you and your career? Or are they trapping you in their orbit? I've mixed a lot of metaphors here. It happens. In the mean time: tonight (Sept. 15th) I'll be appearing at BookPeople in Austin on a panel about SF&F for the Writers' League of Texas! Next week I'll be at FenCon! Come say hello.